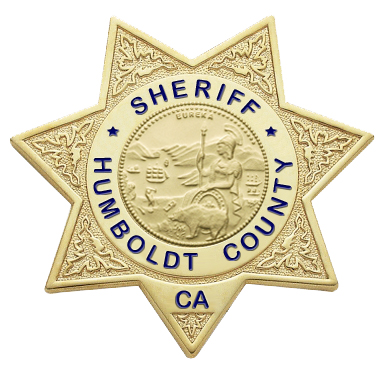 The Humboldt County Sheriff’s Office is investigating a body found lying on Bell Springs Road within a mile of Alderpoint Road. Lt. Mike Fridley of the Humboldt County Sheriff’s Office told Redheaded Blackbelt that the officers at the scene had not yet determined if this was “a traffic accident or a body dump.” Officers are investigating and an autopsy will be done when it can be scheduled. According to a press release, the deceased male appears to have been in his 50s and the death has been officially deemed suspicious. One witness described seeing the body of what appeared to be a male lying in the road uncovered with several law enforcement officers at the scene. Firsthand reports from witnesses place the body there since at least 9:30 a.m.
On Sept. 2, 2018, at about 6:30 a.m., Humboldt County Sheriff’s deputies were dispatched to the area of Bell Springs Road, near the Alderpoint Road junction, for the report of a deceased male subject found on the roadway. The deceased male appears to have been in his 50’s. His identity has not been confirmed at this time. This death has been determined suspicious and is under investigation by the Humboldt County Sheriff’s Office Criminal Investigations Division. This is an ongoing investigation. The Humboldt County Sheriff’s Office anticipates more information to be released following the completion of the decedent’s autopsy. An autopsy date is in the process of being scheduled.